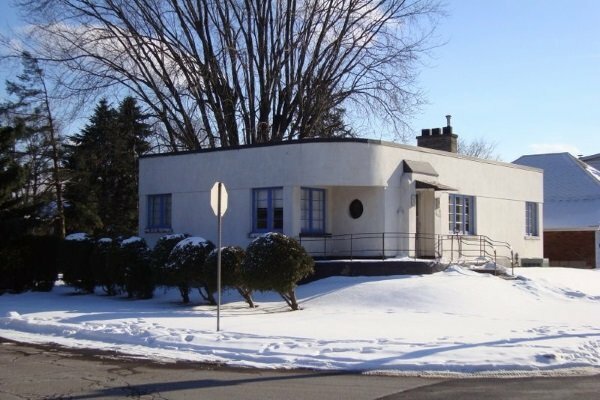 All properties in Brantford will eventually face detrimental flat roof material damages. In fact, regardless of material durability, fixing a flat roof is inevitable for all homeowners. 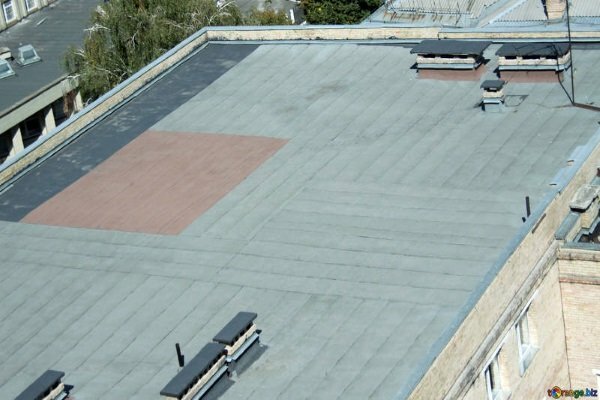 Therefore, it helps to know your flat roof repair options. In fact, it is essential to find the right flat roof repair materials and flat roof coatings you need to perform comprehensive repairs. True enough, it isn’t enough to use flat roof leak repair paint. 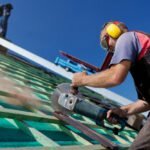 To ensure your roof fix lengthens your roof lifespan and durability, you’ll need to know how contractors do their repairs. 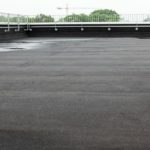 Fixing a flat roof made of EPDM, PVC, TPO, modified bitumen, or built-up roofing is easy by using these methods to repair their roof completely. In fact, any flat roof materials with leaks can benefit from this guide. While it may not guarantee a professional repair, it allows you to keep rainwater and possible water damages at bay until you can call contractors to help you with permanent repairs. The water entry point in your home is not always the same area it enters from your outer roof membrane. The best way to find roof leaks is to measure the distance from the leak to the two nearest walls. Next, head up to your roof, check for possible punctures, loose screws, ripped materials, worn spots, separations of the seams, and anything else that seems out of place. In some cases, vent pipes, material flashing, and vent caulk damage are major sources of roof leaks. Once you’ve checked and found the roof leak sources, you’re ready to begin fixing a flat roof. Before you begin, you will need a list of flat roof repair tools. Indeed, these include rubber glues and roofing tape. 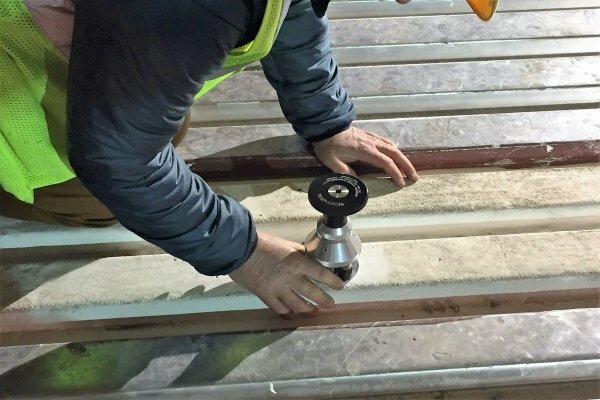 In addition, you’ll use a seam probing tool to inspect the material attachment across different seams. True enough, damage to these are major roof leak compromises. Therefore, it pays to check on them with the right tools. Remember, without the right tools, it is possible to make the roof damage and leak worse than it started. Make sure to follow each step below accordingly. Every roofing contractor dedicated to fixing leaks and handling any type of roofing repair will have his own tool belt and jacket. In their jacket, they will always have the following materials. 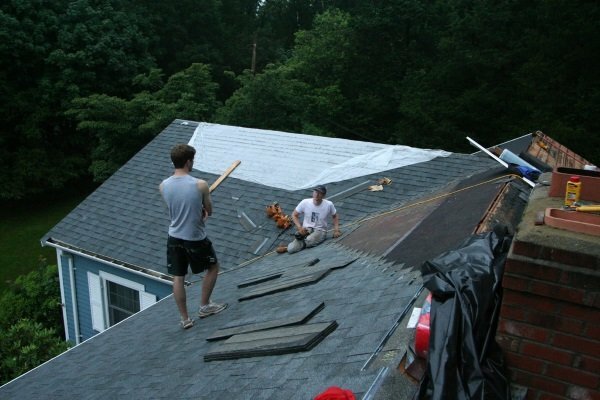 True enough, DIY flat roof repairs are easier than asphalt shingle roof repairs. 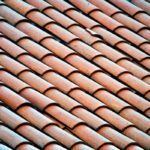 Unfortunately, even if you end up fixing a flat roof completely, it is difficult to determine whether the repairs can last for multiple slopes or provide life-lengthening benefits for your roof. Therefore, use these tools and perform your very first flat roof repair. Indeed, with enough experience, you can conduct long-term roofing repairs in one weekend. On the other hand, allow a professional contractor to inspect your roof thereafter doing these repairs to lengthen its lifespan. Here is a list of tools you’ll need. Punctures are minor roofing damages. Any Brantford CA homeowner can repair it easily by using rubber roofing tube sealant directly on the puncture. Next, use a utility knife to spread the rubber sealant putty around the puncture. Then, you apply peel and stick roofing tape across the damaged area. In the case of modified bitumen and tar and gravel roofs, you can use roofing tar instead of rubber sealant against the puncture. Then, you can use a putty knife to smoothen the tar. Lastly, you can use gravel to reinforce the repaired area. Roof leaks can happen on flat roof membranes, including metal roofs pictured here. If you see bubbles and any soft spots across your roofing membrane, you’ve got blisters. An easy fix is to use your utility knife and cut away at the soft, tomato-like surface. However, make sure you’re using an ultra-sharp knife to avoid puncturing undamaged areas. Next, you can use towels to dry the area underneath the blister. Then, use roof sealant to fill in the cut gap. Next, apply a peel and stick tape patch to secure the sealant in place. Remember to cut away dried excess roof sealants to avoid making a mess of your repairs. You’ll usually find huge roof material rips and tears after a strong hailstorm or windstorms with material fragments flying all over. True enough, the operating procedure is the same: you’ll need to remove damaged materials using an ultra-sharp utility knife. However, you’ll need to do it carefully to avoid potentially damaging huge portions of your roofing membrane. Next, you can use roofing sealant to fill in the removed gaps after using towels to dry them. If the area is too huge for a single tube of roofing sealant or roll of peel and stick roof tape, you can use small EPDM rolls that you can purchase from $0.4 per square foot. You can cut them in small pieces to fill in the damaged roof material gaps. You can use small rolls of membrane to repair huge areas of ripped and torn membrane damage. Most commercial properties (such as this one) use th same method to patch up its roof leaks. 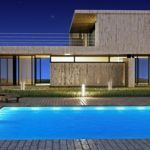 Should I Repair or Replace My Flat Roof Instead? 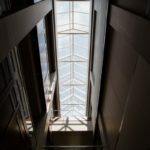 True enough, if the area has a huge rip and tear and you’re using small seams of EPDM roofing material to salvage the damaged area, replacing the roof seems like a better option. However, if your roof is less than 10 years old, it is best to provide repairs. Unless a single membrane roll cannot cover the entire ripped and torn damage, you can still choose to repair your roof. Roof replacement is effective because it guarantees the new material will deliver outstanding protection and longevity. However, it can be quite a financial commitment too. Professional contractors can tear off and replace high or low sloped residential roofs . However, regardless of roof slopes, tearing off roofs can be expensive. Even if your Brantford home only suffered minor leaks, there is no guarantee the repairs you perform will last for more than a year. It is best to call on professionals to help guarantee the lifespan and durability of your roof. If you haven’t found a trusty roofer yet, you can count on Straight Arrow Roofing to help you with all your roof repair needs. 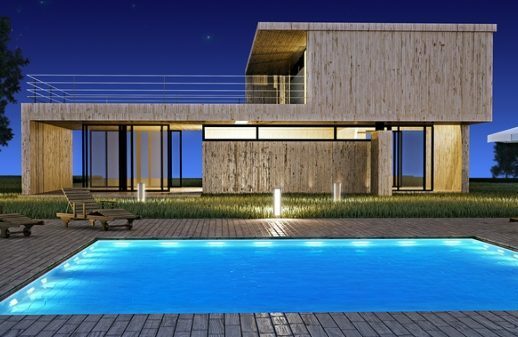 We have decades of experience working on local residencies and properties. Contact us today!